You are here: Home / Freelancing / How Individual Freelancers Can Take Long Vacations? As a freelancer, vacation may sound tougher than they actually are. Once you take a vacation, you will find that it isn’t that tough. Many Entrepreneurs on the Internet share about working from beaches and other varied places but the question is, do you need to be working from such places and more importantly do you want to be working from such places or rather prefer to enjoy being there? As a freelancer, vacation may sound tougher than they actually are. Once you take a vacation, you will find that it isn’t that tough. 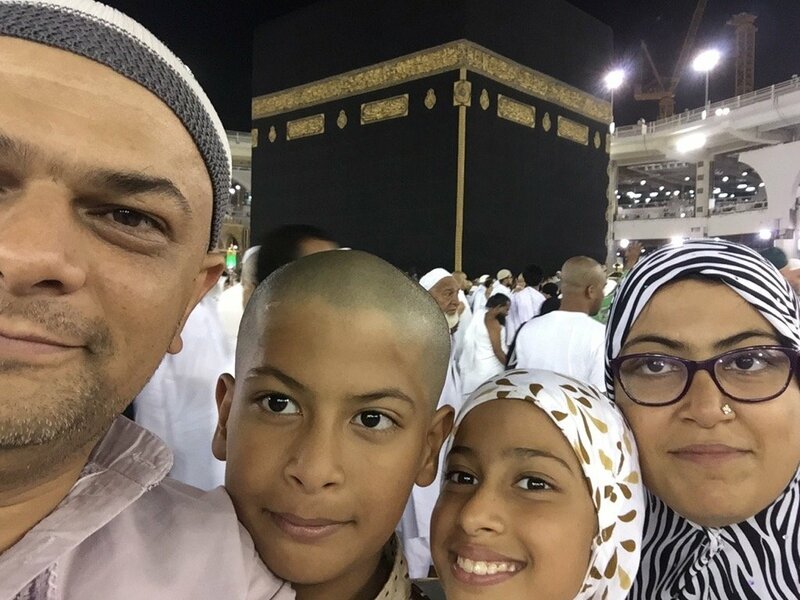 Recently I went to Mecca for an 18 days tour and I did not carry laptop or tablet with me and even avoided Internet connectivity. Here is how a freelancer can take up vacations and don’t need to be working. As a freelancer, you always think you need to be available. It is true that you need to be available and can’t just switch off for an elongated period of time but not because you can’t do it but you shouldn’t be doing it. Your client needs you and you should be up for it. But that doesn’t mean you can’t take vacations either. You have to find a balance between being available and able to enjoy vacations. So if you want to take long vacations, you should start with short vacations. Weekends can be a good start clubbed with an additional off day of either Friday or Monday. Monday works best for me and often for Indian freelancer working for US clients. Your Monday is still Sunday for them and so you can always take a Monday off. 3 Days mini vacations is a good starting point. You don’t need to travel to call it a vacation and you can just make an off day. There are a lot of things that you can do off days and it is neither a working day nor a conventional vacation. Meet an old school friend. Watch longer form of cricket matches. And the list can be endless but taking off days will help you get used to taking vacations. Don’t make these on Sundays but on working days and this is how you will be tempted for taking a long vacation. I normally work for overseas clients and work is always light near Christmas and new year time. So planning a long vacation around that time of the year is easy. Observe when you have less client work and plan your vacation around that time. What if your kids vacation isn’t when you are free? You have to prioritize and plan your vacation around your kid’s vacation more than anything else. Do you want to be working on Vacations? Be honest and answer this to yourself. Do you want to be working on your vacation or you just want to be spending time with your family and enjoy the ambiance and the place where you are? I am not a frequent traveler and so when I am on a vacation I like to be on a vacation and prefer doing nothing now. I used to carry my laptop but it had always proved to be a time killer for me and I have been avoiding it for some time now. My blog and forums can wait even if they are down. I had the needed checks and just in case of emergency, had my outsourcing team all the access to get things back on track. All my clients were informed about my complete non-availability. Still, one client did some upgrade and his site went down, there is very little I could do and he had to get in touch with his host to get the site up and running from backup. Just in case I am not tempted to carry my laptop, I moved away from MacBook to iMac which means even if I want, I can’t carry it anymore. Now as far as I remember, I haven’t carried my laptop anywhere with me in the last couple of years. Do you need to be working on Vacation? The more important question is, do you need to be working on your vacation. From 4 Hour Work week, be prepared for the worse. Is it ok if you lose all your current clients and have to start afresh? Can you afford yourself few days after you are back to get new clients? Don’t you lose a client for other reasons beyond your control? If your answer is yes, you should be all good to that extended long trip. Still, if you let your clients know in advance about your unavailability, all should be good. Bloggers have an advantage of scheduling their posts. I had scheduled my articles such that my blog readers didn’t even realize I was not in town. So once you are going for a long vacation that spans more than a week, you have to plan it right. Here is how to plan your vacation. More than vacation planning you have to plan your pre-vacation work schedule as well. As a blogger, you need to be doing lot more of writing before you leave but as a freelancer, if you let your clients know about your unavailability, there can be a gush of work that clients may want you to be doing before you leave. I prefer the other way round of doing light work before I leave and let clients know that big work should wait because if anything cranky happens with those large changes, I won’t be available for fixes and so can have a big impact on their business. Seldom clients prefer going for those large changes before I leave. It has multiple advantages where I not only can focus more on my scheduling my blog posts but it also means when I am back, I have a reason to email clients about my availability and get back on tracks with client work. Are you taking a vacation when you may have a tax liabilities that needs to be paid? Do you have credit cards where you need to make a manual payment? Are there any bills (electric, Internet, Phone) that aren’t on auto payment mode and needs your attention? Are your freelancers invoices paid so they are more than willing to help when you aren’t working and need them the most? An important aspect to consider is income and expense. As a freelancer who works for clients, vacations will have an impact on income but it shouldn’t be a big impact or else you will be tempted to be working on vacations. Have more than one source of clients and more than one source of income so that you minimize the impact. I prefer to diversify my income and investment to an extent that anyone of them is not a major and main source of my overall income.